Classic Ripes is an exotic presentation of freshly picked fruits such as plums, kiwi, apricots etc. that might be a lovable treat for your loved ones. This sensuous combination of different seasonal fruits is beautifully wrapped in a basket with silk ribbon making it a perfect gift. You can present this stylish fruits basket to your family, friends or relatives on various occasions like Birthday, Anniversary, Christmas or Congratulations. 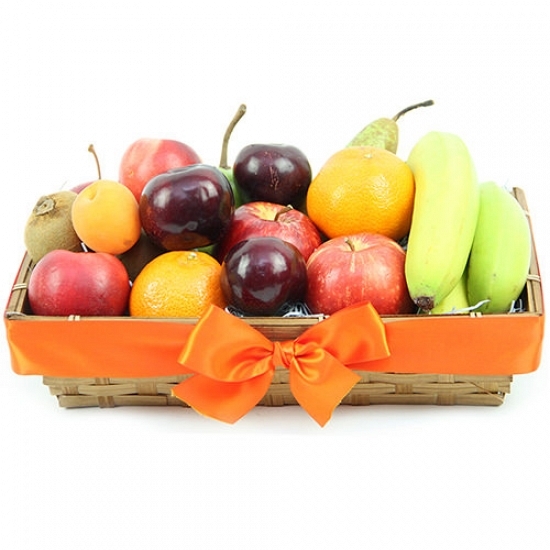 Send Classic Ripes fruits basket by post to UK with your personal message card attached.